First, we had small heads and combos from the likes of Vox, Laney, Marshall and Blackstar: 1 to 5W of tube power in a small cabinet that was ideal for bedroom and studio use. Reasonably light and easy to move around with great tones and a bit of oomph when required. Then came the ‘lunchbox’ amps – up to 200W of power from a tiny cabinet led by the ZT Lunchbox combo and little heads such as the Hughes & Kettner Tubemeister 5. The theme carried on with the superb range of ID:Core combos from Blackstar – starting at 10W in stereo with great tone shaping controls in a shoebox sized cabinet. 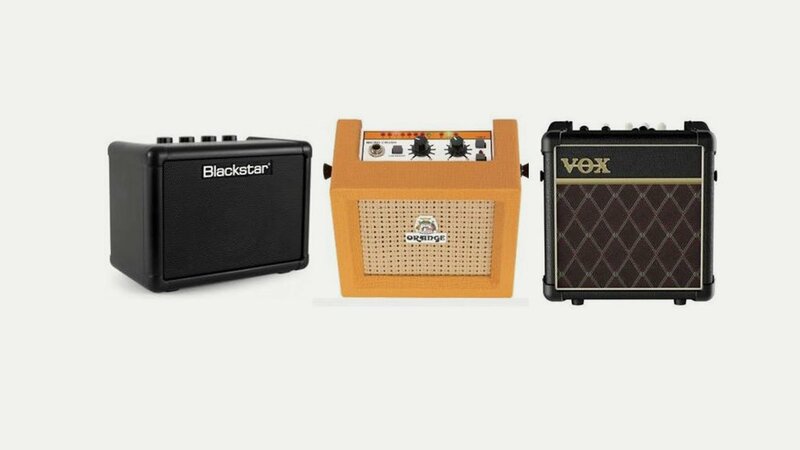 Not to be outdone the likes of Fender, Vox and Roland came up with the Fender Mini Deluxe at 1 watt, the Vox Mini 3, Roland Micro Cube and even the Blackstar Fly3, each being very small but still with usable tones and output for practising. See where this is going? Admittedly, most of these do not have a tube in sight but still come up with the right tones for the purest. Could we have a tiny amp with tube tones and lots of power? You bet! Step up the Orange Micro Terror – tiny with a big heart pushing out 20W- and small tube amps like the Hotone NANO with 5W. But we wanted more and this came in the form of the BluGuitar AMP1 Nano Tube 100 – 100W of power from a large pedal sized box that can fit in your gig bag. No more lugging heavy combos and cabinets around – just turn up and plug into the PA. Does it end there? No. Not to be outdone Vox have moved it on again with their new MV50 head. Up to 50W from a tiny box with a cute VU meter on the front. Analogue yes, but with a newly designed Nutube, a ‘revolutionary new vacuum tube nanotube’, according to Vox. We definitely want one of these when they come out!